It may seem like a never-ending battle to keep dust, dirt, and debris off your floors, rugs, and carpets. A few tips to prevent that outside dirt from entering the house in the first place. Simply asking your guests and roommates to remove their shoes upon entering your home can stop dirt in its tracks. It can be bothersome to enforce, but the more soiled shoes that stop at your doorstep the cleaner your rugs and carpets will remain. If your home has multiple entry points, try entering just one door. Managing one entry way for cleanliness helps to lower the time needed to keep your house clean. A nice message reminding guests to give their shoes a rub on the mat before entering helps keep your inside rugs free of the beauty that belongs outside of your house. The larger the mat the better. Your mat should be substantial enough that guests can adequately clean their shoes. Think about the function of the mat in addition to the décor. To maintain better rugs you should vacuum regularly, but also block sunlight that can dramatically fade your rug prematurely. Spot cleaning your rug when a spill occurs immediately can save it from staining. First, dab the stain with a dry cloth to soak up all excess liquid. Do not use bleach, soap, or other common cleaning products on your Oriental rug. These chemicals can damage the fibers. Use water only to remove stains and dirt safely . Even following these suggestions, your rugs will need regular cleaning. 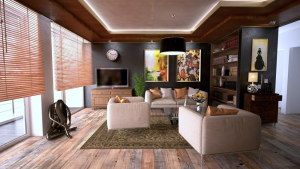 Have them professionally cleaned by Zakian Rugs of Philadelphia to retain their integrity and beauty. Since the founding of our business back in 1923, our focus has been on customer satisfaction. Today, over 90 years later, we remain a customer-driven company and promise to work hard to continue to earn your confidence and your trust.